We believe there’s no such thing as a standard customer or insurance product. That’s why our agents are dedicated to finding the exact coverage you need, at a price that fits your budget. With nearly 40 years of experience in Aberdeen and Ipswich, we’ll help you protect what’s important. Put your trust in us to find a policy you can count on. Manage your risk - no matter where life takes you. Whether you’re moving homes or shopping for new auto insurance, we can help. Our agents review your coverage needs to find the best policy for you, while answering any questions you may have. Protect your largest investment from uncertainties. We understand the significance of a family homestead and strive to provide the coverage needed to fit your operation and your pocketbook. Let our experience staff give your business peace of mind. We understand that each company is different, and strive to ensure you have the coverages your growing business needs. 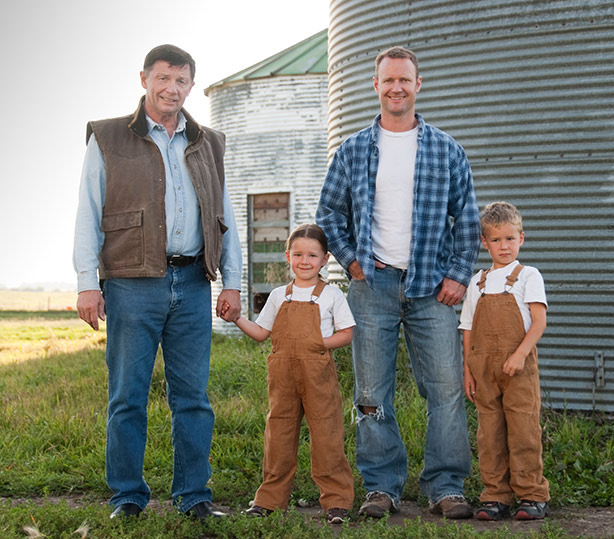 We know agriculture, and what it means to your family. While we cover most insurance needs, our specialty is agricultural insurance. We have three generations of experience, so you can be confident we’ll be here for your next generation too. We’re happy to visit your farm, ranch or place of business to get an accurate picture of your needs and ensure there’s no gaps in coverage. When/if you have questions or a claim, you’ll work with your agent who knows you and your policy details. We’ve made getting your free quote as easy as possible. Just fill in your information and one of our agents will follow up with you shortly to determine the coverage needed and answer any questions along the way.